SXSW may have ended, but for Torchy’s Tacos the halo of its marketing stunt there lingers on. During the event, the brand literally rained tacos from the skies over Austin, TX. 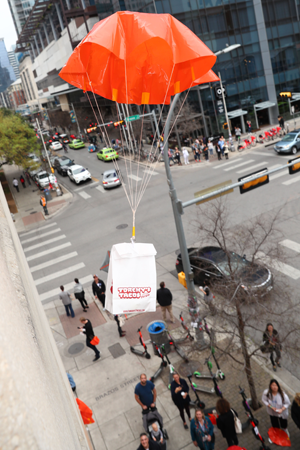 More than 100 tacos were enclosed in branded bags, secured to custom mini parachutes produced by Jafflechutes based on the weight and dimensions of the tacos, and then dropped by hand from buildings and rooftops near the SXSW action. More than 100 tacos were dropped in various locations in downtown Austin. “Part of the beauty of the idea is that it’s incredibly simple and if we got told to stop—we’d stop. Because we made a game-time decision about the locations from which we dropped the tacos, we didn’t get permission and were only in the parking garages for about 20 minutes,” he says. Brand ambassadors along with Torchy, the brand’s mascot, were on the ground to drum up excitement and pass out gift cards, coupons and branded swag. 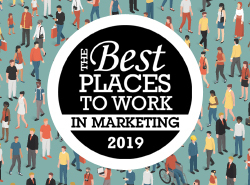 “Our goal was to create excitement and awareness about Torchy’s Tacos and show up in an unforgettable way. As the world comes to Austin for SXSW, we wanted to make sure the world knew about Torchy’s,” Hudler says. In a related event, DoorDash, an on-demand platform for door-to-door delivery unveiled its first physical space at SXSW this year. 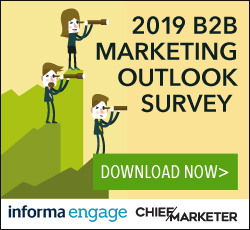 The “Tiny Home Away From Home,” featured a customized tiny home and backyard that set up in the middle of downtown Austin and provided attendees with free tacos from Torchy’s Tacos, live music and educational panels. To amplify the SXSW campaign DoorDash is offering free delivery on Torchy’s Taco orders with the code DAMNGOOD through March 22.